Chaitanya Bharathi Institute of Technology (CBIT) is one of the premiere institutions in the self-financing category in India.It is located in Gandipet, Osman Sagar, Hyderabad, India. It is 25 km away from Secunderabad railway station. 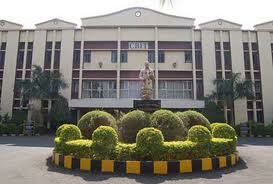 The college is affiliated to Osmania University, Hyderabad. The college is accredited by the National Board of Accreditation and is ISO 9001:2000 certified. CBIT is ranked among the top 20 private engineering colleges in India. Campus:The Institution, shaping its students into disciplined young citizens of good character and culture lays emphasis on practical experience so as to enable them to secure employment in industry thereby to become entrepreneurs. CBIT stands as the only Engineering College in the state with 553 students placed in reputed organizations through campus interviews from August 2006 to March, 2007. In its keen commitment to offer quality education, CBIT, over the past 27 years has become a temple of knowledge and produced about 12,000 eminent and skillful graduate engineers, who are successful in their careers, serving all over the state. First Floor is accommodating Reference Books, Current Periodicals, Digital Library and Discussion Rooms etc. Possessing Modern infrastructure with a reading capacity for 350 Users. Having the collection of more than 63,000 Volumes. Institute Library & Information Center has partially automated its Library House Keeping operations by using New GenLib Library Software. Established a E- Learning Resource Center in the Reference Section. Hostel: A wide range of hotel accommodation is available in the city of Hyderabad, close to the venue of the Conference. Limited accommodation is also available in the student hostels. T ECSTASY 2k11 is conceptualized with an aim to rejuvenate ideas and induce technical flavors in the students. Apart from the technical scope, the event will also witness the participants getting exposed to semi-intellectual prospects such as VIRTUAL PLACEMENTS (platform for proving Managerial skills), online gaming contents, etc. T ECSTASY, a National level Technical Symposium and the flagship event of the Department of Information Technology at Chaitanya Bharathi Institute of Technology,Hyderabad, has evolved along with the department sice its very inception. T ECSTASY 2k11 a quest for knowledge is an endeavor to build a center stage for sharing knowledge and learning among various academic institutions across India. Enjoy the joy of celebrating technology.